I was first introduced to Austen-inspired fiction by my dear friend and editor, Barbara Cornthwaite. She did a fabulous job with writing Austen’s Emma from Knightley’s perspective. And let me tell you, I loved it. She managed to show a modern audience what Knightley saw in the spoiled, selfish heroine who I suspect wasn’t as deeply criticized in Austen’s day as she is now. Well, that just fueled a flame. She then introduced me to Susan Kaye, Pamela Aidan, and Laura Hile. While I enjoyed all the Wytherngate Press books, I especially loved Cornthwaite’s and Hile’s takes on familiar Austen characters. 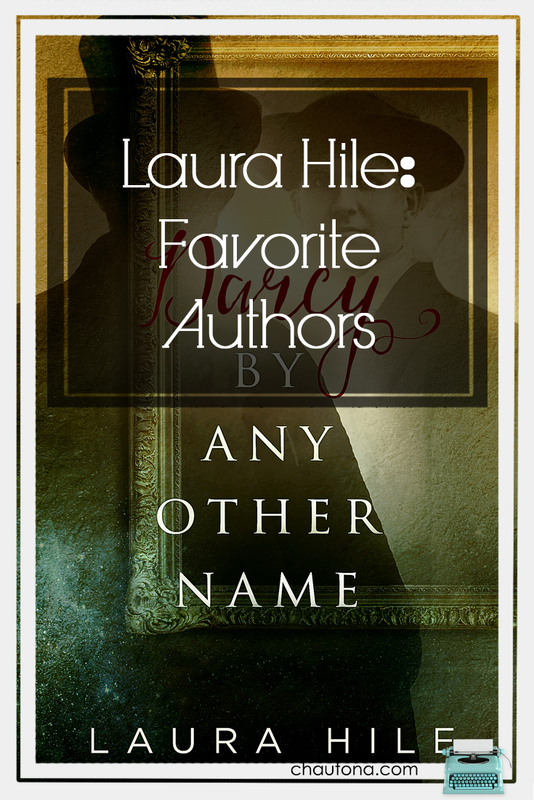 Laura Hile first wrote of Elizabeth Elliot–the obnoxious older sister of the beloved Anne in Persuasion. I reviewed this series six years ago over at Paradoxology. I thought I’d share it here before telling you about Ms. Hile’s latest triumph. Did Austen write a more disliked family than the Elliots of Kellynch? I don’t think so. Perhaps some would disagree, but I cannot fathom how. Between their pride, arrogance, self-absorbed obsession with wealth and appearance, “every feeling revolts!” So, when I saw Laura Hile’s book about Elizabeth Elliot, I wondered why she’d bothered. Who cares about Elizabeth Elliot? “I wouldn’t care if she were alive or dead only that she was Anne’s sister.” (loosely paraphrased quote by Mr. E from Emma. My apologies Miss Austen.) However, when I read the publisher’s synopsis, I confess I was a little intrigued. This is what I read. For a fun speculation as to what happened to Anne’s sister, Elizabeth, I recommend this series! For more about it, check my review HERE. to Miss Elliot’s matrimonial state. Elizabeth Elliot is as beautiful as ever, yet no gentleman of proper stature has requested her hand. Lady Russell claims she is too particular, but Elizabeth begs to differ. She is not about to settle for a gentleman of no distinction like her sister Mary. Nor will she follow her heart and marry a commoner with no title but Captain—that was Anne’s mistake. As for romance and the tender stirrings of the heart, why, only a simpleton would fall prey to such foolishness! 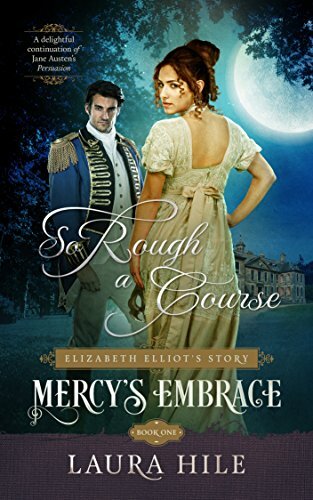 But when the proud Miss Elliot encounters a pair of smiling Irish eyes in a most unsuitable man of vulgar connections, she is tempted to change her opinion. Almost. Jane Austen’s beloved Persuasion provides the backdrop for this first in a series of delightful romps set in Regency England. After that, who could resist at least giving the book a small chance? Well, I’m here with fork in hand and chewing my fried crow. I was hooked long before the end of the first chapter. 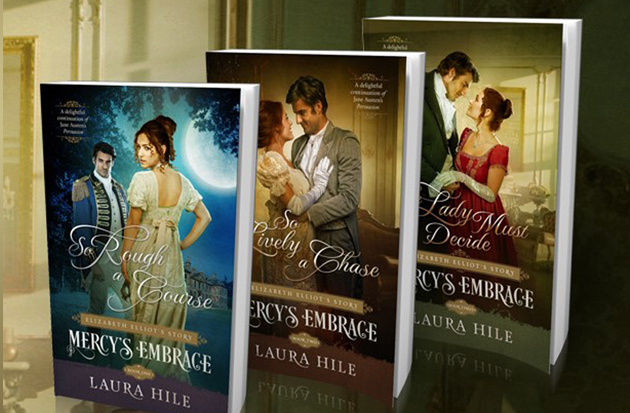 Ms. Hile has a delightful ability to keep you in Regency England while showing that human nature is still human nature, regardless of century, and therefore, make the reader nod when people behave in stunningly familiar ways. When I started reading, I was afraid she’d make Elizabeth highly reformed. I had horrible visions of her serving as a missionary to street urchins or marrying a day laborer much to the shock of her family and friends. Thankfully, Ms. Hile has some common sense and a feeling for the proportion of things. She did not change Elizabeth Elliot’s character at all. In fact, because this story is centered around Elizabeth, you really do see her faults in glaring clarity in a way that the original story couldn’t have tried to do. So, why do I like books about such an unsympathetic character? Well, because that’s the best part of these books– she becomes sympathetic slowly but surely. She doesn’t become another Anne or a Fanny Price or anything, but you see more depth of her character, and the character of Patrick Gill helps show sides of her personality that she’s never had a chance to develop. The Elizabeth Elliot that you meet in the first book is precisely the one you knew and disliked from Persuasion, and is still the same person at the end of the third book, but with new facets of her personality revealed in a way that makes you like her even while disliking her. She grows, matures, and has a new appeal, but she is still Elizabeth Elliot– Anne’s obnoxious and haughty sister. You finish the third book with the feeling that she might even grow a bit more of a heart given time. So many Regency era books are difficult to lose yourself in, because of the particular style of writing. As much as I love Austen, I am rarely caught away in the story so much that I have a hard time coming back to reality. I just enjoy the literary fun and never think much about the style. However, Laura Hile, as did Barbara Cornthwaite in her book, managed to maintain that Regency style and feeling while still managing to transport me from the present into the past. That takes some skillful writing. These Crown Hill Writers Guild authors do not disappoint! One of the most delightful things about the book was seeing other Austen characters appear in the story. Mr. Rushworth makes a grand showing as only he can. His mother… oh dear, his mother. Caroline Bingley is, of course, her normal obnoxious self. It’s a delight to read and hate her at will. I’ve always said that this is why I love fiction– it is not a sin to hate someone who doesn’t exist! The end of the third book is one of the most brilliantly written things I’ve ever read. Ms. Hile does a fabulous job of wrapping up the story with a satisfying ending, while still making you eager for more. If she never wrote another volume, you’d not be left feeling like too much was left untied. However, she does leave enough open to make the reader wonder if she might just favor us with a fourth book. I highly recommend this series. If you are a fan of Jane Austen’s Persuasion, you will not be disappointed. Indeed, I do think even those who aren’t particularly drawn to that novel will like this series. Don’t hesitate, dash over to Amazon and snag your copies today. Note: links in this post may be affiliate links for which I’ll receive a small commission at no extra expense to you. Oh boy. Where do I begin? Look I’ve read Ms. Hile’s other works, so I knew there was a strong chance I’d like the book. But the supernatural… at Netherfield? Can’t say I was confident that I’d LOVE it. I knew I’d like it. But love? But while you can put aside a “good” story, a great one takes over. I spent all afternoon devouring this book. It was, in a word, amazing! I couldn’t put it down. When Kindle Cloud Reader SIGNED ME OUT at the climax, I almost created household panic with my growls and squeals. No. Joke. So what is so great about this book? I’ll tell you. I’m obliging that way. Ms. Hile managed to take a very modern idea (Freaky Friday) and interject it into a familiar setting and all without making it seem hokey or ridiculous. 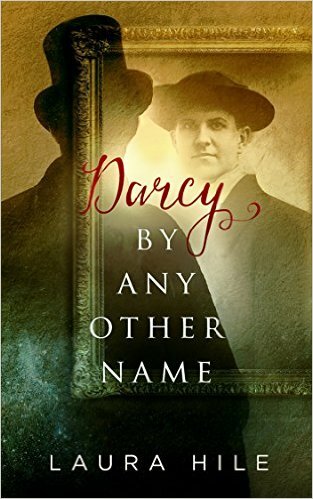 She made me believe this happened–that the odious Collins and supercilious Darcy swapped bodies–made me believe they were stuck there. Ms. Hile made me believe things that just don’t fit. And isn’t that what makes a book five stars? Not its impeccable research (although that does help). It’s not the word-perfect adherence to diction or speech patterns. No, what makes a book a five-star book is its ability to transport you into a world you don’t want to leave. …. scroll past if not…. Collins kisses Lizzy, and you don’t want to kill him. If that isn’t proof of a fabulously written and engaging book, I don’t know what is. Do yourself a favor. Get it. Just don’t let yourself start reading until you have time to read the whole thing. Wait’ll you have laundry to do or weeds to pick or tiles to de-mildew. Then escape. I guarantee you’ll be glad you did.